Home /News/How Does A Litecoin Mining Pool Work? The cryptocurrency market is notoriously volatile. But for Litecoin miners, there is still the possibility of making a steady income from digital currencies. This article explains how a Litecoin mining pool works and discusses the prospects you have of earning a living from mining cryptocurrencies. Mining cryptocurrency has become a lucrative occupation. At the time of writing, the price of Litecoin is $201.76 and has a strong chance of increasing over the course of the year. The more Litecoin increases in value, the more money Litecoin miners can make. The digital mining community intents on elevating blockchain technology into the mainstream and provide a solution to the flaws of the current financial system. Blockchain provides a secure means of trading and banking without being charged ludicrous fees imposed by governments and financial institutions. However, investing in the hardware you need to successfully mine cryptocurrencies on a regular basis is an expensive business. Unless you have substantial financial backing, first-time miners typically have insufficient rigs to pack enough power to solve the algorithm. The alternative option is to join a Litecoin mining pool. Altcoins based on scrypt currencies can be mined on regular PCs. Litecoin is one of the leading cryptocurrencies on the market and has maintained a top five position in the cryptocurrency charts since hitting a record high in 2017. According to CNBC, early adopters of the altcoin netted profits of almost 1,400 percent of their initial investment. Since then, the value of Litecoin has more than tripled. The cryptocurrency has attracted additional interest recently after upgrading its technology and boosting transaction speeds. Hence, prospective miners entering into a new venture have plenty to feel confident about. But what are mining pools, how do they work and what are your chances of earning a living from mining Litecoin? What Is a Litecoin Mining Pool? Generating digital coins and making a profit is not easy. The competition is very stiff, and it can take months to find a Bitcoin or Litecoin and create a hash. Mining pools are a protocol that enables a group of miners to work together and increase your chances of getting a return from cryptocurrency mining much quicker. To earn money, you still need to know which mining pools are the most productive. Bitcoin mining is performed by individual companies that compete against one another to determine the mathematical formula that seals a blockchain and bags the reward. Mining tokens is a bit like entering a race where the winner is rewarded with 12.5 bitcoins. The profitability of Bitcoin mining has been exceptionally high since the leading cryptocurrencies rocketed in value throughout 2017. Mining companies have subsequently invested thousands of pounds in developing high-performing computers solely dedicated to mining Bitcoin or altcoins such as Litecoin and Ethereum. Subsequently, mining virtual coins has become very difficult for newcomers with a small rig. Mining pools aim to provide a solution for professional and non-professional miners to make profits from mining virtual tokens. Litecoin mining pools offer an additional opportunity. There is less competition in mining Litecoin compared to Bitcoin which means you are more likely to earn more rewards on a regular basis. Mining pools are a conglomerate of miners that all use their resources to solve mathematical problems that create a blockchain and seal it with a hash. The combined power of multiple computers provide miners with a rig that is better equipped to compete against established cryptocurrency exchanges. This is not possible for solo miners with a small set up. Although there are multiple miners in one pool, sealing a blockchain is only rewarded with 12.5 bitcoin. The reward is shared amongst all the miners in the pool on a proportional basis. Percentages are worked out by the amount of hash power you contribute. Therefore, if you contribute 10TH to a 100TH mining pool, you get a 10% cut of 6.25 BTC. Mining pools work slightly differently to traditional mining. They are managed by a pool operator who runs pool software instead of a dedicated bitcoin client. The software allows the operator to perform hashes for the pool and verify how much work has been contributed by each member. Shares are then dished out proportionally. Some mining pools focus on a single cryptocurrency whereas others mine for multiple altcoins. Single mining pools focus on one particular coin 100% of the time. Multi-mining pools flit between various altcoins. Pool operators use several factors to decide which is the most popular currency at any given moment in time, thus likely to return the most profits. Multi-pool miners still only mine one coin at a time. The difference is they will flit from one altcoin to the next. Pool operators analyse the market and speculate which altcoins are performing well. The decision of which coin to mine is based on the mining power of the network and the exchange rate of the cryptocurrency. The ultimate goal of multi-mining pools is to make profits to be shared amongst the network of miners. With proper management, multi-mining pools can quickly take control of a security network and increase the block time. However, the success rate depends on how difficult it is to adjust the algorithms and find the right mathematical formula that mines a large number of blocks in a short space of time. Once multi-pool syndicates have mined an altcoin and sealed the blockchain they will typically sell the coin and convert it into BTC. However, this can have an adverse effect on the tokens as it depresses the supply of a particular cryptocurrency which ultimately lowers the price. What Are The Mining Pool Rewards? Every time a blockchain is completed, the mining company, individual or group that solves the algorithm is rewarded with 12.5 bitcoins. This is then shared amongst the group by following with how much hash power and work you contributed to the network. Before jumping into a mining pool, it is essential to assess how the share of payout is calculated – together with subscription fees which also need to be deducted. It is important to understand how the distribution of shares is calculated, together with the pools success rate, before choosing a mining pool to join. Mining is based on the principle of solving cryptographic puzzles, all of which are assigned a difficulty level which is essentially a measure of quality. Miners that provide a solution to the algorithm that is above the difficulty rating of the currency is awarded the blockchain. Schemes within a mining pool vary. Although most pools focus on the number of shares a miner has contributed to the pool as ‘proof of work’, they also set difficulty ratings. This enables pools to quantify how much miners are contributing to solve blocks and work out the processing power each member is contributing to the pool. The most common method of dividing payments among pool members is the ‘Pay Per Share’ (PPS) model. There are usually variations that put percentage limits on the number of shares that are paid out to any one person. Look out for mentions of equalised shared maximum (ESMPPS) or maximum pay per share (SMPPS). Another factor to consider is how much the mining pool deducts for being a member. The values typically range from between 1-10%, but there are also some pools that don’t charge anything at all. Solo mining is a slow process, and if you don’t have a robust ASIC bitcoin mining chips, it’s impossible to make a profit from mining cryptocurrencies. And bitcoin hardware can be costly. Companies with financial backing have invested thousands of dollars in building rigs capable of mining tokens on a regular basis. Miners with a comparatively low ASIC is outpowered. Unless you can successfully hash a blockchain, all your hard work and investment comes to nothing. Mining pools were envisaged to resolve this issue of the large companies monopolising the mining process. Bitcoin mining pools are well established now, and the hardware is better equipped than Litecoin. Subsequently, ASICs designed to solve proof of work for Litecoin are scarce and difficult to find. This is likely to improve over time, however. The saving grace for Litecoin miners is that blockchain uses a different proof of work than Bitcoin. This means that Bitcoin miners cannot mine for Litecoin. And after Bitcoin, Litecoin is one of the most liquid cryptocurrencies that is most widely recognised. The best Litecoin mining hardware at the time of writing is the Antminer L3+ or the Antminer S7. Now the value of Bitcoin has increased exponentially, so has the competition of mining virtual currencies. Without a significant amount of capital upfront, it is impossible to mine cryptocurrencies and make a return on your investment. Furthermore, as it becomes more difficult for participants to purchase new generation hardware, mining pools are the best option. However, the more people that join mining pools, the less each member makes in profits. Mining pool operators will only allow a certain number of members into the group, but on the flipside, more groups will be established, and the competition between mining pools becomes even more frenzied. Mining pools will also make the qualifying criteria for members more rigid. Miners hoping to join with insufficient hash power and a lack of proven experience of solving hashes will be turned away. Miners hoping to profit from cryptocurrencies will, therefore, have to improve the amount of power they can contribute. Companies with industrial-scale mining rigs will inevitably continue to dominate the crypto ecosystem and make it even more difficult for mining pools to compete. The only response will be to add more members to the pool which will ultimately result in a lower share of profits. Furthermore, not all mining pools will be able to seal a sufficient amount of blocks and will earn their money by charging members higher rates to stay in business. This will be a detriment to miners with small rigs that are hoping to make a return on their investment. 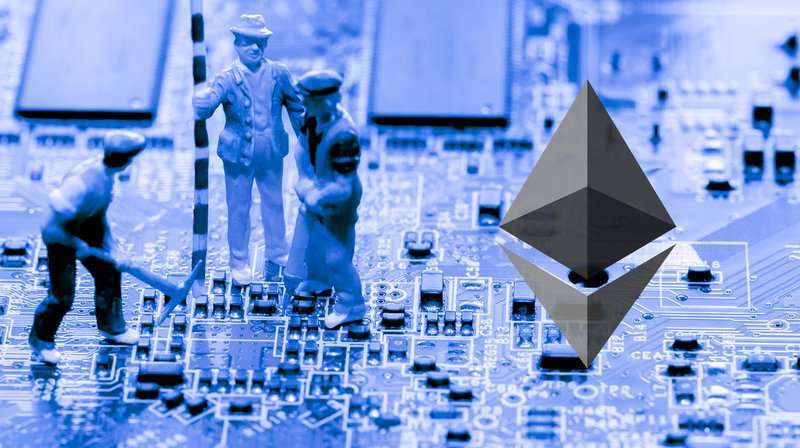 There are also predictions that traditional mining might be replaced by so-called smart mining pools based on the Ethereum smart contracts. Before joining a mining pool, research forums and get the latest advice from active members. Another danger is that miners will have to compete with tight profit margins. This fosters a mentality of winning short-term profits and sacrificing the long-term health of the ecosystem. Cryptocoins will rise and fall in an already volatile market. We already see evidence of this in the multi-coin mining pools. If you’ve already invested in mining hardware and not having any joy on your own, it is worth contemplating joining a Litecoin mining pool. You will earn less for solving blocks, but you significantly increase your chances of making a steady flow of income – which is better than nothing. Before you decide which pool to jump into, study the various schemes of Litecoin mining pools carefully and select an operator that is proving it can compete with cryptocurrency exchanges. For more information, visit our Litecoin page.